Hi guys! I am very excited about my post this week. 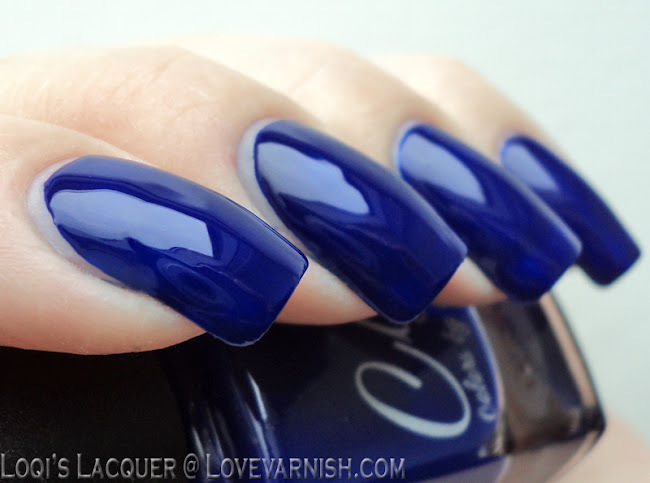 I've got a lovely new collection of jelly/crelly polishes to show you from Colors by Llarowe! You might remember I swatched their 'Colorado on my mind' jelly collection a while ago and I really loved them. So I was excited to try out their new Winter jelly/crelly set. These polishes will be in their core collection, so you can pick them up any time you want, but there are some nice Christmas colors, so you might want to take a look soon! Violet haze, is the odd one out and also maybe my favourite! 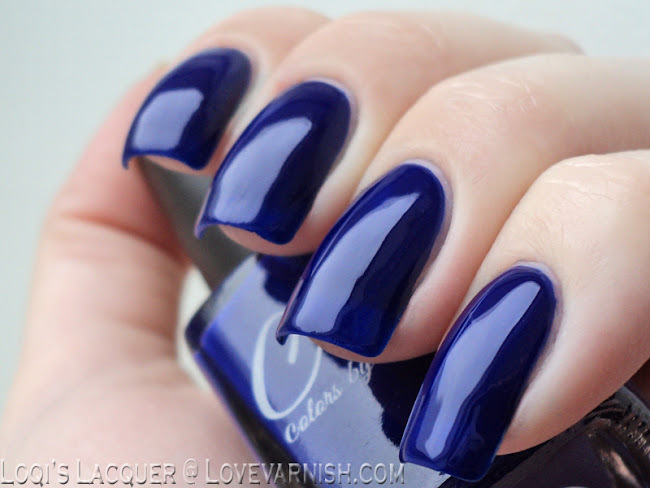 It's the only jelly of the set and a very very very deep violet. In fact, it's so deep that most of the time it looks black. But in good lighting the purple shines trough, especially at the edges. Even though it's so dark it's gorgeous! 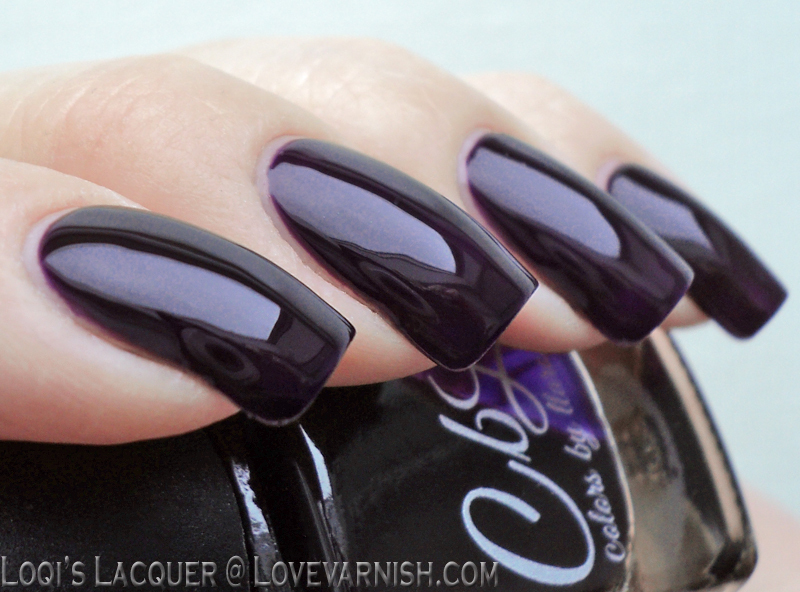 I love me a good, dark polish and this one is just so...luxurious looking because of it's depth. 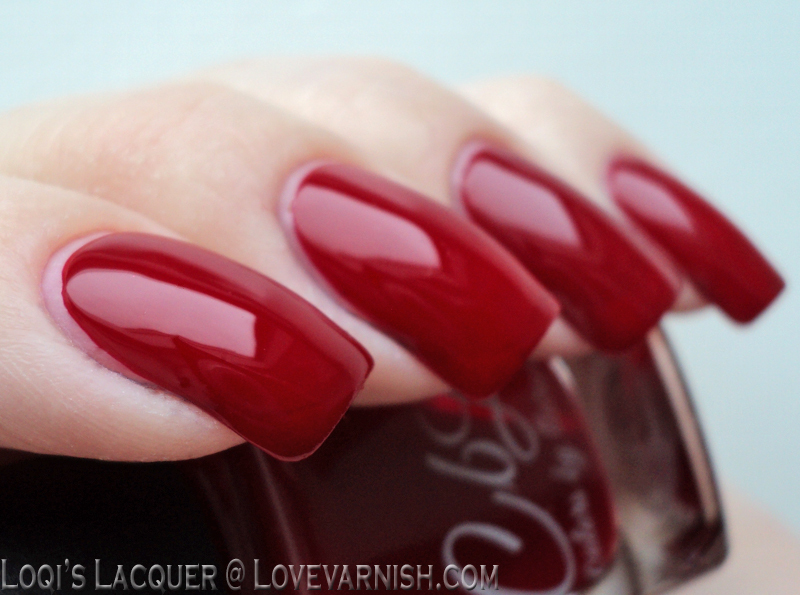 Shown here is 4 coats with topcoat (marco pictures emphasise vnl so I wanted to do an extra coat). 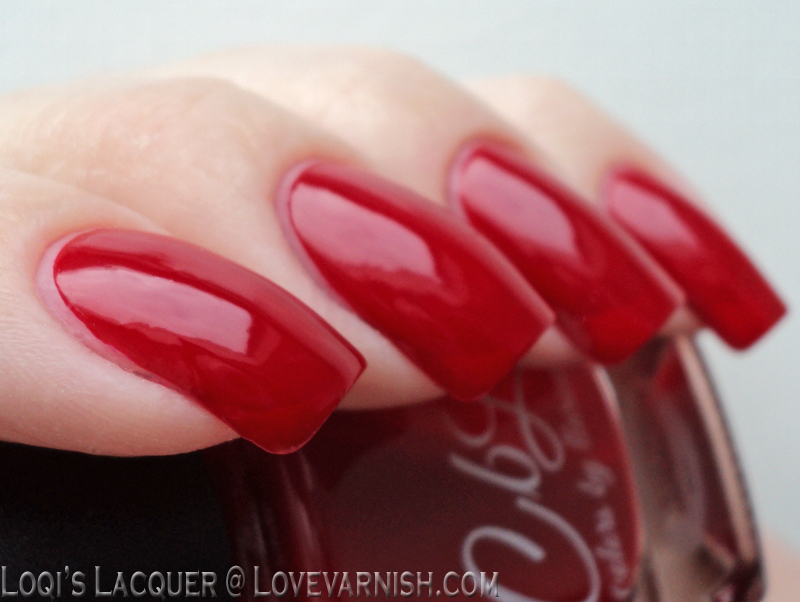 Even at 4 coats it doesn't leave you with very thick nails though and it looks wonderfully squishy! Regal is the brightest polish of the set and my second favourite. It's a lovely royal blue crelly, and even though it's not a true jelly, still looks very deep and squishy. This is 3 coats with topcoat. 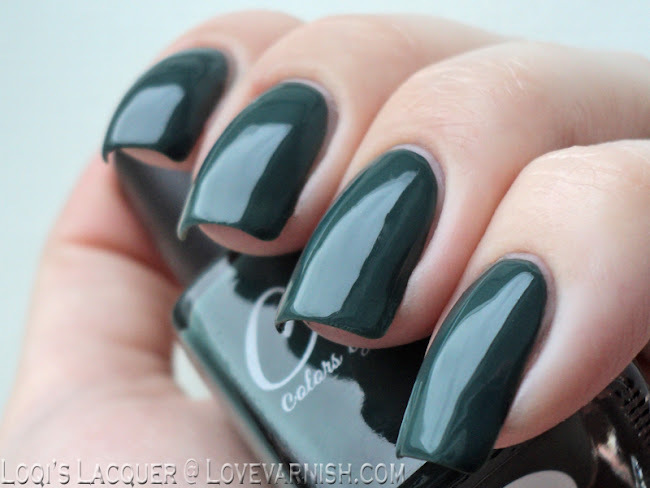 Emerald isle is a perfect Christmas color! 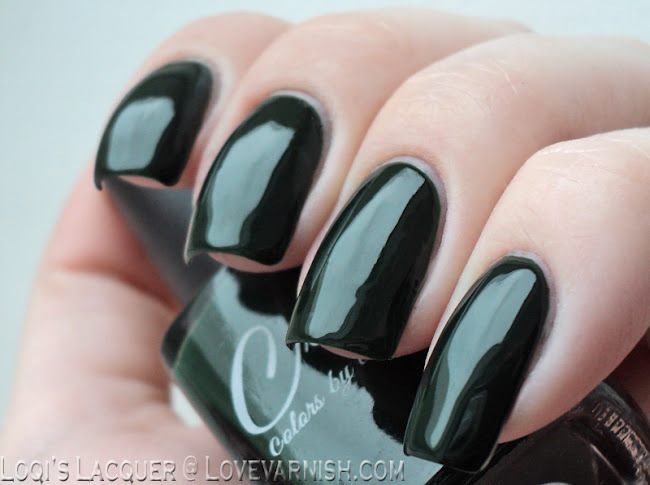 It's a lovely, darkened, emerald green crelly with great coverage. This is 2 coats with topcoat. Camo is, as the name says, a camo green crelly. 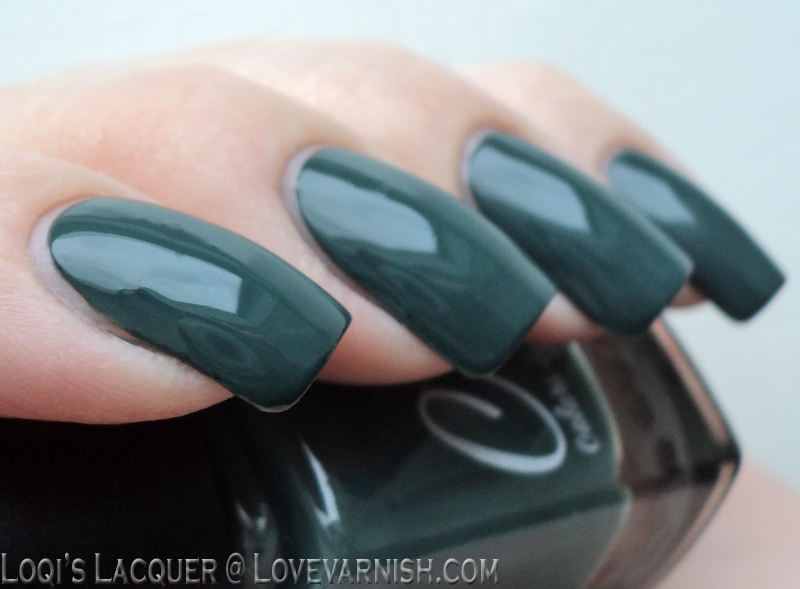 It has a lovely dusty look to it, and would also be a great color for the holidays! Like it's green sister it also has great coverage. This is 2 coats with topcoat. 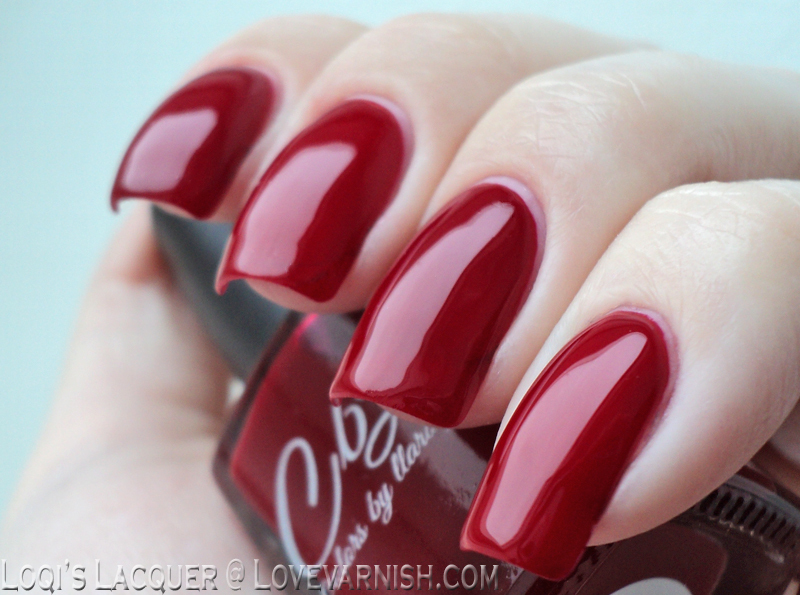 Red-y or not is a bright and beautiful red crelly polish. It has a slight magenta undertone. Shown here is 3 coats with topcoat. 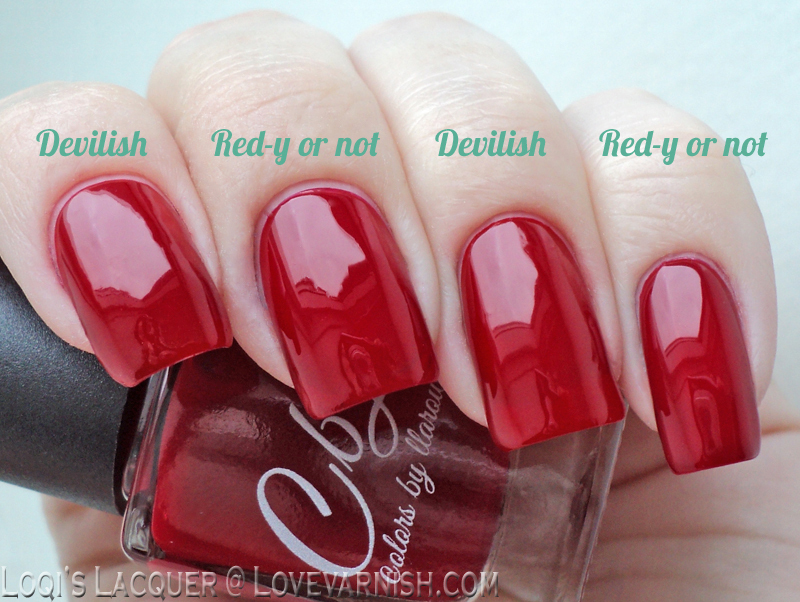 Devilish is a bright and beautiful red crelly polish....Sound and look familiar? No I did not post the same set of pictures twice, but yes, I could have. Devilish looks almost exactly the same as Red-y or not. While applying you can see that Devilish does not have a magenta undertone like Red-y or not does, it's more neutral. But at 3 coats with topcoat it looks almost exactly the same, it's just a tiiiiny bight lighter and a liiiittle bit less opaque. I don't think you would notice the difference in real life if you did not know you were looking at 2 different polishes. Nice! I really like this set! Every single one of these polishes applies lovely and smooth and the colors are wonderful for the upcoming holidays, even if they are not the most unique. 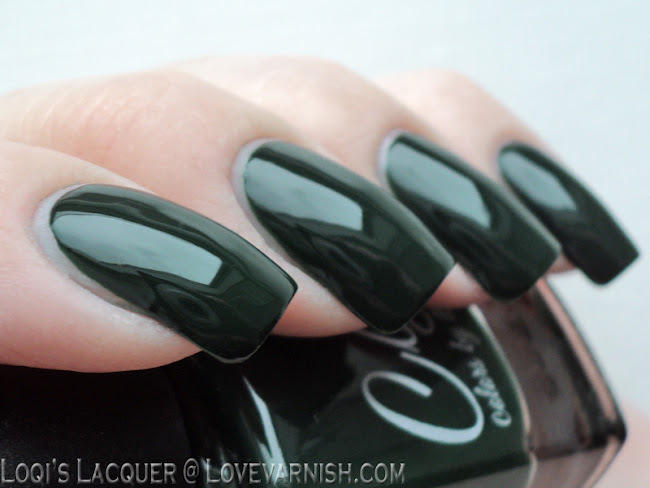 The 2 green polishes have excellent coverage, especially for being crellies! The others need a coat or 2 extra, but that is to be expected for these kinds of finishes. 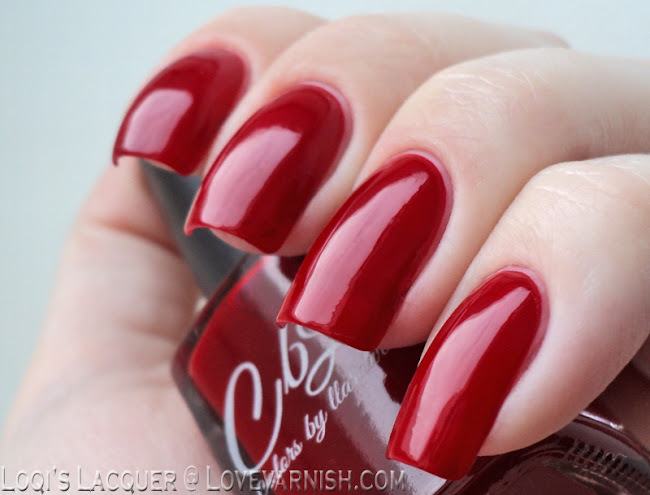 The extra coats make the polishes look deeper and squishier! These blue and greens do benefit from a nice topcoat though, because they dry a bit flat without it, and these kinds of polishes always look great with the extra shine. The only downside to this collection for me is the twin reds. They are so very similar that I find it to be a bit silly for them both to be in this collection. So what do you guys think? Will you be picking these up for the holidays? And do you prefer jellies or crellies? Let me know in the comments, and see you next week! 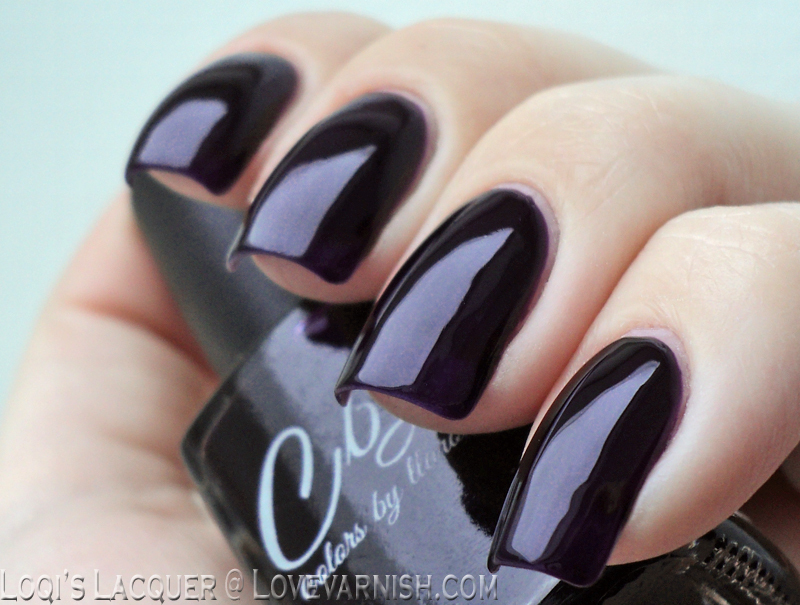 Colors by Llarowe is the indie brand from the well known stockist Llarowe. The formula is 3-free and the bottles hold 12 ml. of polish.